A confident (and then some) freshman in BYU’s 2008 fall football camp, O’Neill Chambers (’12) made his new coaches a vow—sooner or later he’d return a punt or kickoff to pay dirt for six points. 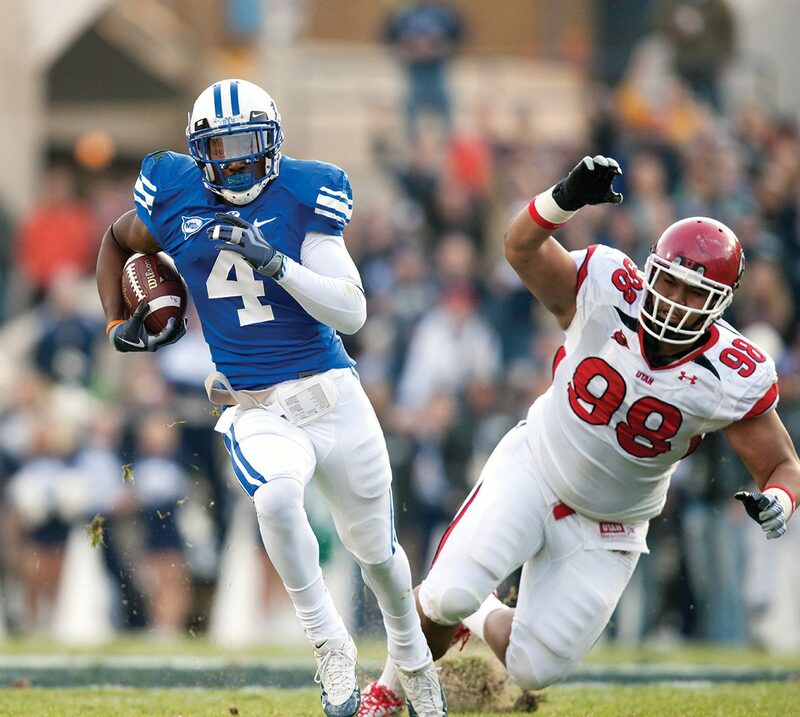 In the 2009 season, he nearly proved himself a man of his word twice—the second time against rival Utah (above). Wearing his retro-colored uniform (honoring the 25th anniversary of the 1984 National Championship), he received a second-quarter punt, then weaved and scampered 43 yards through half the Ute defense before being dropped at the 7-yard line, setting up a touchdown two plays later. Even without the TD, Chambers’ returns provided great help for BYU’s offense in a thrilling 26–23 overtime win against Utah. And, fortunately for Chambers and BYU, he has two more years of eligibility to make good on his vow.